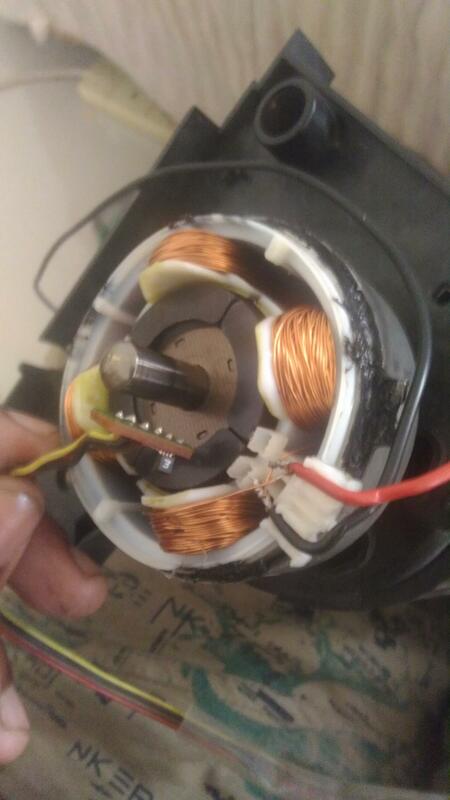 I want to make this motor work, but I can't understand what type this is. I supplied 5V DC to the terminals, but it just kept buzzing and the coils were energized. It also had some kind of circuit, but it was not connected to any of the terminals. What do you guys think? It's an single phase BLDC (Brush less dc) motor. the circuit is an hall effect sensor to detect the rotor position. Not the answer you're looking for? Browse other questions tagged motor dc identification fan rotor or ask your own question. Systematically, what would happen if I give a crank at the shaft of a motor? What does a motor driver do? Motor of what type should I choose?